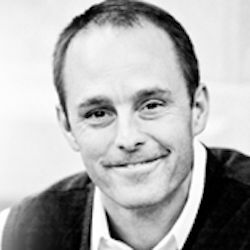 Eric Plantenberg focuses on enriching the lives of others through his own multi-faceted life. Eric is the co-founder of Freedom Personal Development, has created a retreat called Abundant Living, and is now the “Core Values Ambassador” of Kombucha Mama. And — by the way — he’s also done significant humanitarian work around the world, summitted Mt. Everest from the north, taken a three-year travelling honeymoon with his wife Michelle, and completed the IronMan Triathlon four times. how pursuing authenticity requires effort and intentionality. This entry was posted in Podcast on September 18, 2013 by Andy Gray.